Over at the 5Fans forum, someone gives a brief report with AnTuTu scores of the iFive Air flashed with OMA’s ROM [Google Translate]. Overall stability improves and it seems to boost the AnTuTu score as well. That score seems impressive until scrolling down to see the bar graph reporting something different. See that at the post. the score in the bar is differtent, because this is a different Antutu Version. 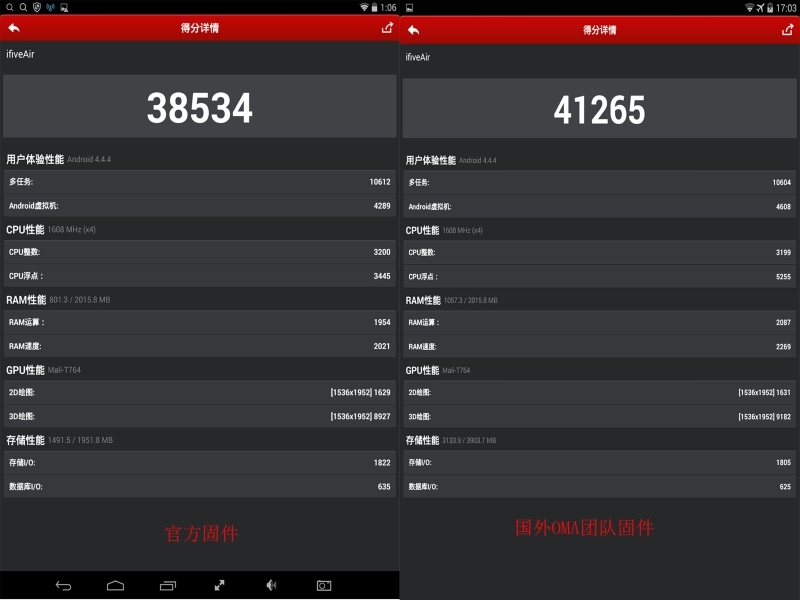 Test 2 with score about 34k is with Antutu X.
Antutu X has some changes that calculates the points in a different way! Thanks. I should have looked more closely.